This post is the back story behind why I don’t drink. It’s not meant to pass judgement on anyone, it’s simply to explain why I personally have chosen to not drink. Part II of this article really does tell you how to How Not to Drink Like a Lady. Click the link to read it. Yumm! 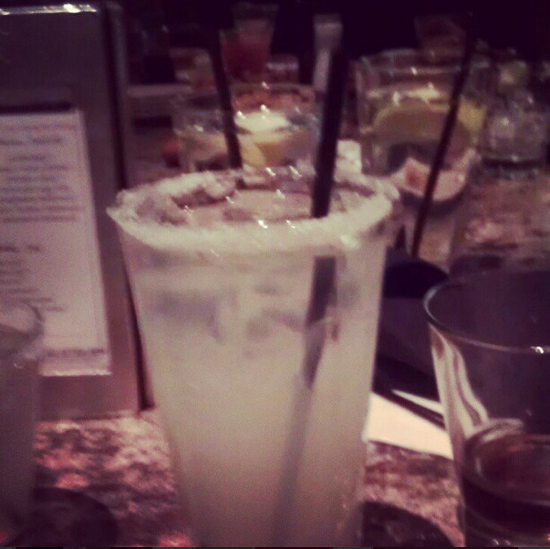 Lemonade with sugar on the rim! As I step up to the coffee shop counter, I peer at the menu of hot drinks. Coffee, no thank you. Chai latte, nah. Hot chocolate with whipped cream, yes ma’am! Yes, I’m 23 years old and I’ll take a cup of hot chocolate over coffee any day. Why should my age dictate my preference for beverages? Coffee drinking is a rite of passage, marking the transition of an individual from child to adult, relaxed to high-strung. While most people were gritting their teeth against the bitterness of their first cup of Folgers, I was plopping more marshmallows into my piping cup of Nestle hot cocoa. I don’t drink coffee because I don’t like coffee. Similarly, I don’t drink alcohol because I don’t like alcohol. But like coffee, alcohol is an inevitable component in adult life. I know many of you read the title and put the emphasis on the wrong syllable. But I meant what I wrote. I am going to tell you how to not drink like a lady. I have been to numerous professional and social gathering where I was offered a wide variety of libations from trash can punch to pink champagne. In those settings, my choice to not drink was tried and tested. I had to make a split second decision whenever asked “Can I get you a drink?” Should I going to drink socially, turn my nose up at the drink, or stand awkwardly in the corner watching everyone else drink? I had the opportunity, every time to revisit the motivation behind my abstinence from alcohol. I know what you’re going to say Have you tried Muscato? Or [insert name of “sweet” wine that you claim tastes like juice]? That’s the part I don’t quite understand, why drink wine that tastes like juice if I can just drink juice? Whenever I have tried said sweet wines, they either taste like spoiled juice or they taste like sweetish alcohol. I cannot tolerate the taste of alcohol because I compare everything to the sweetness of the juices I enjoy. I think wine-enthusiasts just need to give up trying to entice me with their faulty juice to wine comparisons. You’re talking to a girl whose favorite drink is was Kiwi Strawberry Snapple.You can literally squigee the fructose corn syrup off your tongue from this drink. You, my friends, don’t even know the definition of sweet. When I like something I really like it. I had to pray for deliverance from my Kiwi Strawberry Snapple addiction. I quit that drink only to get stuck up on Minute Maid’s Pomegranate Lemonade. I’m desperately awaiting the day I become addicted to good ole H2O. But seriously, I could see myself becoming that girl who sits on my bed on a Saturday morning with a jug of Sangria, catching up on Law and Order SVU episodes. Knowing me, I would probably repeat this ritual 6 days a week. When I’m in my natural sober state, I feel awkward and clumsy. I would never want to add alcohol to the mix in a social setting. I’m the kind of person who likes to scope out the scene quietly before I jump right in. I feel like alcohol could disrupt my social flow. I often fear that being buzzed or drunk will remove my verbal filter and cause me to skip to the stage of friendship where I tell you that your handlebar mustache makes you look like a pervert. You see, I know that being under the influence will produce the most raw, unrefined version of myself. She’s mean, crass, and needy. Nobody likes her. Not even me. 4. I’ve witnessed many people make terrible life altering mistakes while being touched by the spirits. I mean really. I told you he was the ugly friend. Like the ugliest friend…in the room. Yes, the lights were low and the music was rocking but dang, Gina*! Let me move on before I rustle up too many bad memories. Don’t you hate it when people start their statements “Girl, I saw you doing XYZ last night! You must have been having funnn.” Um, #1. Mind ya bidness. #2. Ugh, you saw that?? I hate that feeling when someone has caught me doing something I had no business doing. So I decided, I’m not going to do things I would be ashamed of having revealed. I am personally convicted about drinking wine and I have taken a stand not to drink it. My decision to abstain is part of my testimony. I had a talk with a friend about living a full life as a Christian woman without fear of guilt and condemnation. Too often we tip toe around because we don’t want to offend Church people’s sensibilities and neither do we want to insult the world’s lifestyle. But it’s impossible to please both crowds. The only option is to live to please God. I have learned to pick my activities wisely, to never be coerced or guilted into or out of anything, and to do what makes me feel happy. Strangely enough, I never felt the need to drink socially, just because everyone was doing it. Growing up in a God-fearing “We are in this world but not of it” type of household has made me extremely insusceptible to peer pressure. Life is too short to be living for your mama, your daddy, your pastor, or your boyfriend. Go to that vacation spot you’ve been dying to go to; buy that dress that made you feel like a million bucks, and eat that New York style cheesecake with your name drizzled in strawberry syrup. Do it, only if YOU want to. As a wine enthusiast and a (surprisingly) moderate drinker who’s arguably more blunt in the critical clarity of sobriety, I really appreciate your post. If anything, people assume that you judge them because you choose not to drink, that you’ve attributed the many negatives to social drinking to them. However, you understand yourself enough not to cave to something you don’t like and you know would most likely work against you. I’ve also seen you in social situations and you don’t need to be drunk, tipsy or buzzed to be engaging and I feel very much the same way about my social interactions. Your unapologetic yet nonabrasive approach to living as a Christian is BALLR-LIKE at the very least – #inspiration #shopspiration #sweetspiration #lifespiration etc. etc.